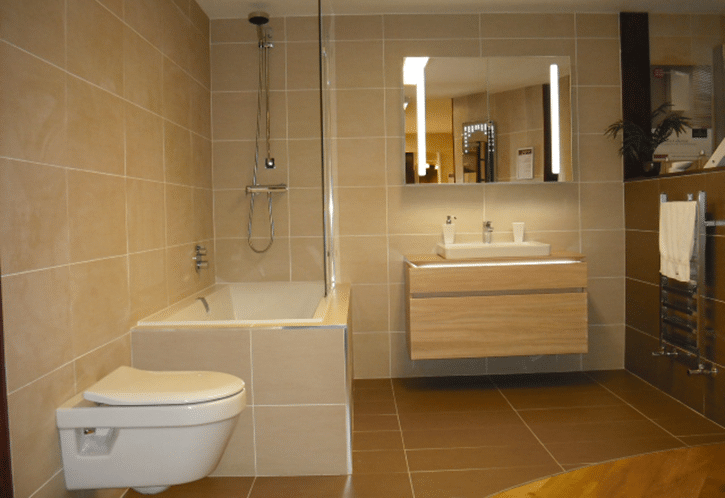 When it comes to refurbishing a small bathroom, your design can make or break it. Small space needs more thought than a large bathroom and the decisions you make about your design and layout can make a potential cramped failure into a success. 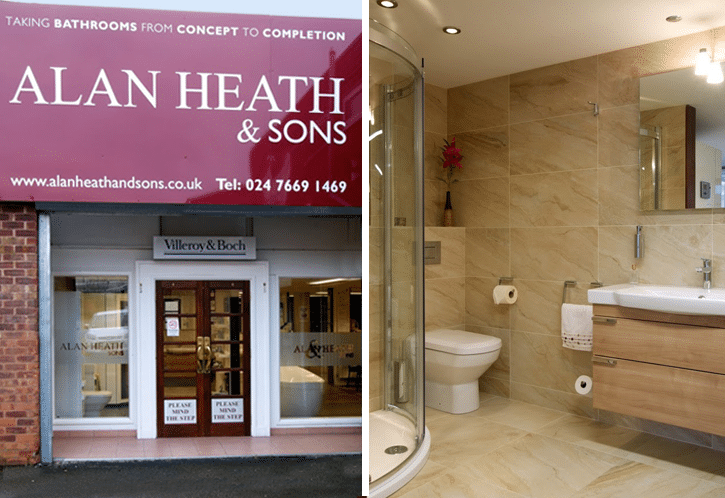 Small bathrooms can work and feel just as spacious as a larger room with some clever design and forward thinking. 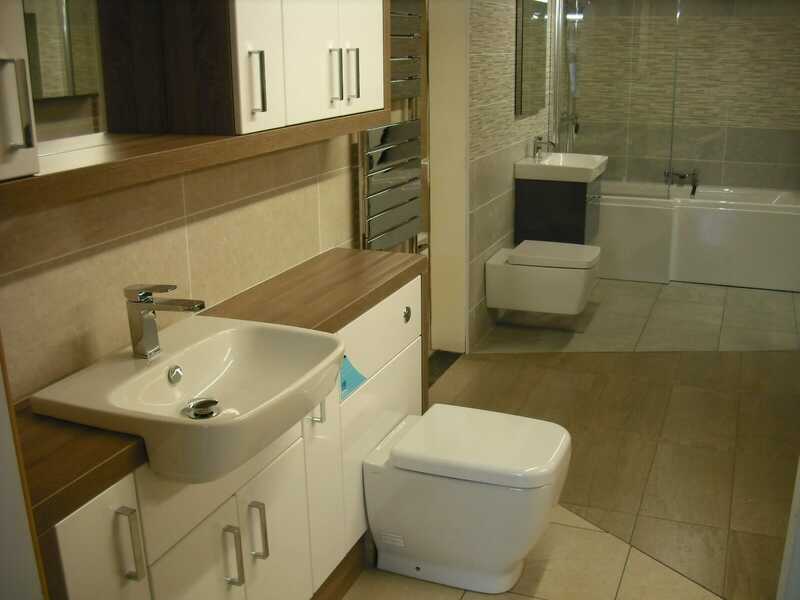 Funnily enough, seeing the floor in any room can give the illusion of space, and when you’re considering which suite to go for in a small bathroom we recommended going for a wall mounted basin (and WC if you can) to leave as much of the floor exposed as possible. Seeing the floor flow into the bathroom is better than cluttering it with pedestals, and you’ll be able to get ever so slightly closer to the basin too. Every little counts when space is at a premium. Shapes are important in your bathroom. Sharp, harsh corners can overcome your bathroom’s design and make it feel smaller. This has a lot to do with the way your eyes process the view of your bathroom as you enter it, but it really makes a difference when you pay close attention to it. Rounded edges on your basin or vanity unit give the feeling of more space and actually make it easier to manoeuvre around; important if you’re really in a tight spot. Curves flow, edges jut out. Think about that when choosing your units or suite. The manufacturers we use have a plentiful supply of options so there should be no reason you won’t find something you love, that suits your space. There are many items you simply can’t avoid having in your bathroom. Although being minimalist in your small space would make sense, you simple can’t do without certain things and towels are one of them, right? Storing your towels and keeping them organised is a big win in a small bathroom. Heated towel rails are one intelligent way to do this as you’re using the heating and storage twice – doubling up on your space. Here’s another option: your bathroom door is a simple storage unit and adding some towel rails here can really save space and organise some some often bulky and annoying mess. Would that work for your new bathroom design? Ok, so small rooms might not have lots of floor space – but that doesn’t stop you using the walls and the height. Tall cupboards and mirrored cabinets are great places to hide away all the clutter that makes your bathroom look messy and unorganised, and the taller the better. Tall, thin wall units use the space in the most efficient way and don’t feel as commanding as a wide unit and they store away all the ‘noise’ too. We find it’s much more visually appealing when you hide your bottles and potions away in a cupboard. Just make sure that you have someone tall to get the items to and from the top shelf! 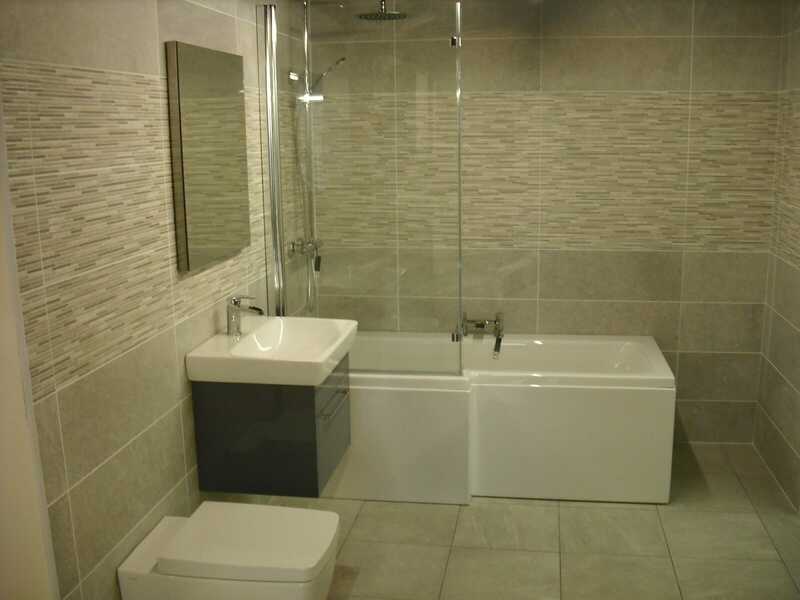 A lot of what’s wrong with small bathroom design is simply the colours and tile choice. 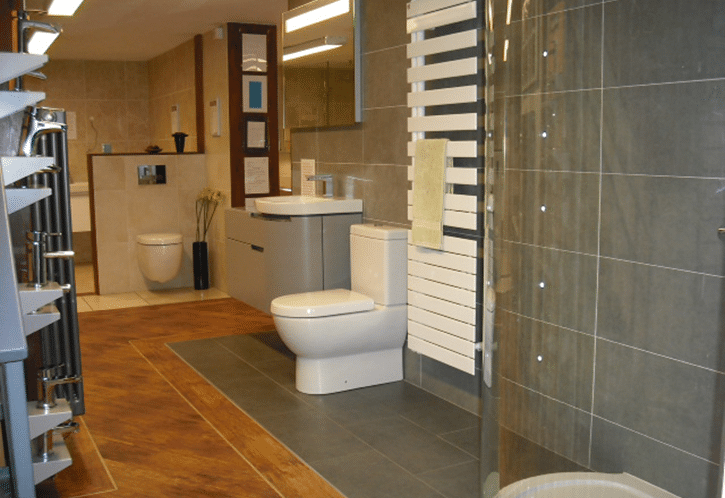 The grout lines in your tiles, the colour choice and even the choice of paint can all affect the success of your design. 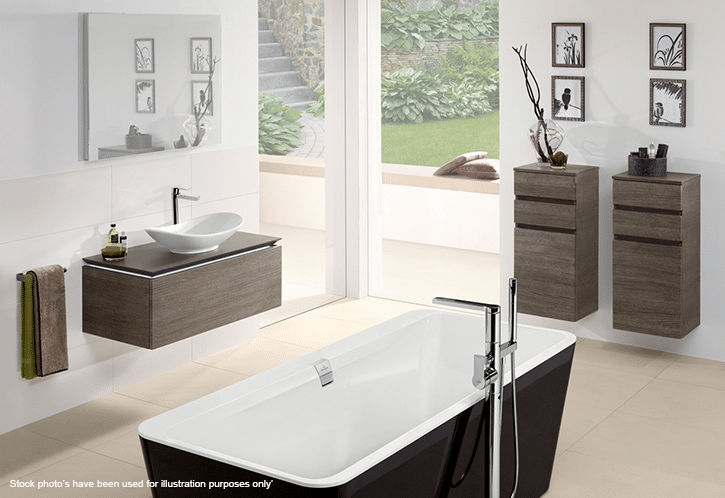 Try not to over-complicate it when you choose and colour scheme or tile in your bathroom. Small tiles create more lines and that means more noise. Loud colours can help but keep it light to make the room feel larger. Reflective, shiny tiles will share the light around your room too and all adds to overall feeling of space. Think big in your small bathroom design. Small bathrooms should be organised and simple. Keep the lines curved and the a minimum where possible and try not to clutter them with loads of soaps, shower gels and towels. 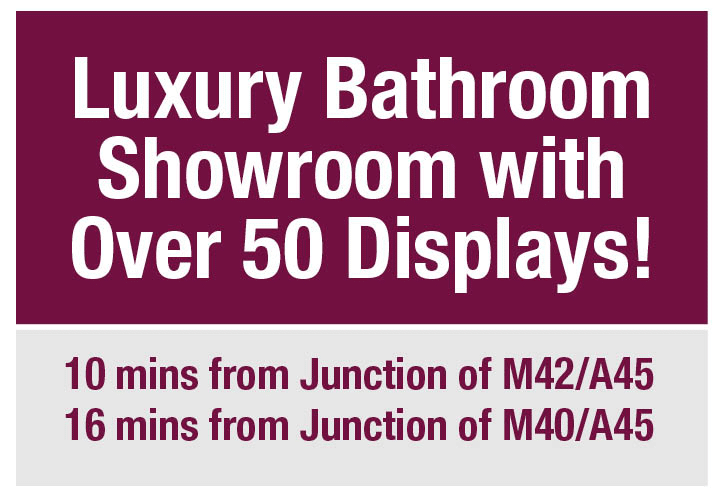 If you need help designing your bathroom (large or small) then do give us a call or pop into our Coventry bathroom showroom. We’ve been designing them for over 40 years – we’ve got a few tricks up our sleeves!